Nrk.no informs about the developments around the World championship match. Let us remind you, Magnus Carlsen's team asked FIDE to postpone the match however, FIDe president Ilyumzhinov refused to do so. Now the International chess federation doesn't even let the world champion to take time to decide: if Carlsen won't sign the contract till August 31, Anand's rival in the match acccording to the rules will be Sergey KArjakin who finished second at the Candidates. 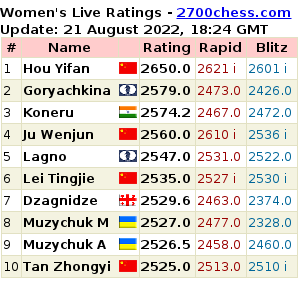 This has been confirmed by FIDE presidnet Israel Gelfer. "There are no logical reasons for postponing," he noted in the reply letter addressed to Espen Agdestein, Magnus's manager. Agdestein asked to postpone decision makiing till September 7 when finished the Sinquefield Cup inw hich CArlsen participates and which has started today. Apparently, Magnus will have to make the decision during the competition. Agdestein on Extended Deadline: "I Don't See It As a Particularly Good Improvement"
Magnus Carlsen's manager Espen Agdestein commented on Kirsan Ilyumzhinov's decision to extend the deadline for Magnus to decide his participation in the world championship match. According to Agdestein this changes little because the team asked FIDE president to postpone the decision making till September 17. Karjakin gave a short commentary on the upcoming World title match. 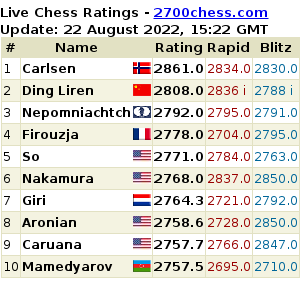 After Carlsen decided not to rush on the match decision (Magnus hasn't yet signed the contract, he plans to do it only after the Sinquefield cup he's participating in will finish) there's a theoretical possibility that he will be replaced. If so Sergey would be the one taking his place as he finished second at the Candidates. Let us remind you, Carlsen asked FIDE to postpone the match, his request was declined by the FIDE president. FIDE president Kirsan Ilyumzhinov informs he got a letter from Magnus Carlsen's manager Espen Agdestein in which he asks if it's possible to postpone the match. Vishy Anand's wife and manager Aruna told Chess.com the ex-champion has signed the contract, therefore confirmed his participation in the World title match scheduled to take place in Sochi, Russia. Carlsen's Manager Responds to Ilyumzhinov: All About the Lack of Host Bids and "Official Protest"
The final decision regarding the location of the match for the World Champion title between Viswanathan Anand and Magnus Carlsen will be made at the FIDE Presidential Board, that will take place in Baku on May 5-6, as announced by the head of the International Chess Federation Kirsan Ilyumzhinov in his recent interview with "Sport Express". Magnus Carlsen: "I'm Deeply Disappointed and Surprised by the FIDE Decision"
Magnus Carlsen made an announcement regarding the FIDE decision to hold the World Championship match in Chennai. It appeared on the website sport.adressa.no. The both participants of the World Championship match - Viswanathan Anand of India and Magnus Carlsen of Norway - signed the official contract on the match. This was confirmed by FIDE president assistant Berik Balgabayev on his Twitter page. According to the contract the player has the right to take two-days pause in case of illness. Magnus Carlsen is heading to Chennai to check the living and playing conditions already tomorrow .